Home » Home Health Agency » Is your workflow impeding revenue? The reimbursement landscape is changing, and healthcare organizations can’t keep up with outdated or flawed systems and processes. The days of Medicare and Medicaid comprising the majority of revenues are fading fast. Today, private/commercial insurers and patients make up a greater percentage of payments. To survive and thrive, you need a workflow that is fluid, flexible and responsive. You need systems and processes that reduce overhead and related costs, while enabling you to make the shift from fee-for-service to value-driven payment. 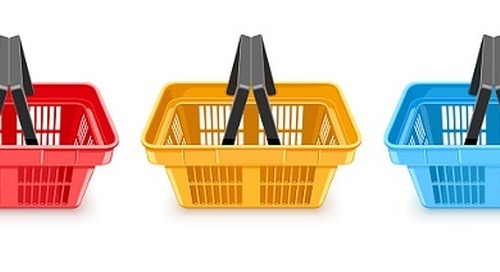 As consumerism rises, you also have to be able to serve the patient demand for more and better services – a bigger bang for their healthcare bucks. Common reasons for claim denials and payment reductions include billing errors that prevent claims processing and missing prior authorizations. These issues not only create delays and decreased revenues, but they consume valuable workflow time, contribute to staff burnout and affect patient/family satisfaction. 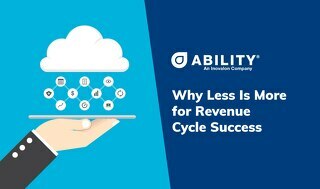 As you assess your revenue cycle management (RCM) workflow, consider how the following tips might help increase efficiency, accuracy and productivity. You need to be able to see where a claim is at any time, especially in the world of value-driven payment. Quick and accurate editing should be part of the RCM workflow, so any necessary changes or additions can be made in real time. Keeping tabs on your claims in real time makes sure nothing gets lost in the shuffle and can help avoid rejections and denials. Bouncing between different portals, windows and screens is time-consuming and may increase opportunities for errors. An application that puts nearly every public and private payer in front of you with a single sign-on can enable the submission of many claims in one online session – saving time and frustration, as well as reducing the chance for errors and omissions. Counting on the Medicare crossover function for secondary claims is risky. Instead, consider an application with customizable rules that can be set to automatically detect and file secondary Medicare claims, as well as commercial secondary and tertiary claims. 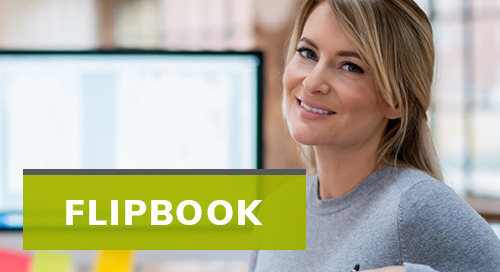 Seek a solution with a safety net feature that captures claims that don’t cross over. 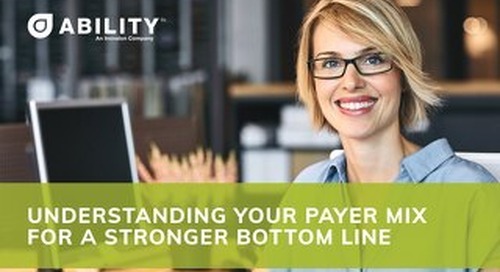 With narrow profit margins, regulatory burdens and penalties for readmissions or poor care quality, there is no room for errors, delays or omissions. Unfortunately, denials and reductions in claims happen too often. While a few of these issues may be caught early, many aren’t noticed or don’t get addressed until the claim is submitted, and there isn’t an opportunity to address them until follow-up. At this point, days or even weeks may have passed. 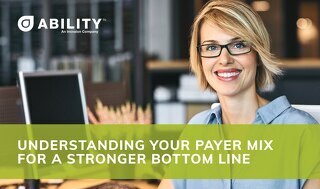 Software can automatically monitor and update unique payer rules, so you don’t have to continually hunt down individual payer requirements for each patient. Some applications will allow rules customization, so you can develop repeatable workflows for your most-used payers. Automatic claims correction is another feature worth seeking. To ensure information is complete and flows smoothly, consider an application that promotes interdepartmental communication, making task assignments clear and showing where appeals stand at all times. Seek a solution that generates self-populating appeal letters for three levels and tracking numbers for cross-referencing tasks throughout the appeals process. Analyzing your claims data helps increase revenue by identifying and addressing bottlenecks in the payment process. You can use analytics to conduct an internal claims audit that can be used to identify opportunities for improvement. Your system should enable you to answer questions quickly, including: What percentage of patients/families make upfront or regular payments? How quickly are claims submitted and closed? 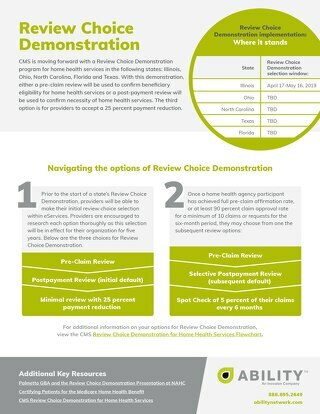 What are the first-pass and/or denial rates? 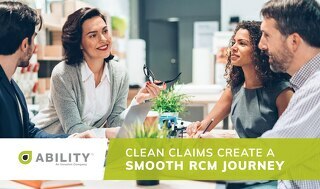 The healthcare landscape is changing, but you can paint an RCM masterpiece with a fluid, efficient workflow at the center. The post Is your workflow impeding revenue? appeared first on ABILITY Website.